Credit to Steve Chalupnik of Joliet, Illinois for sending in this material. 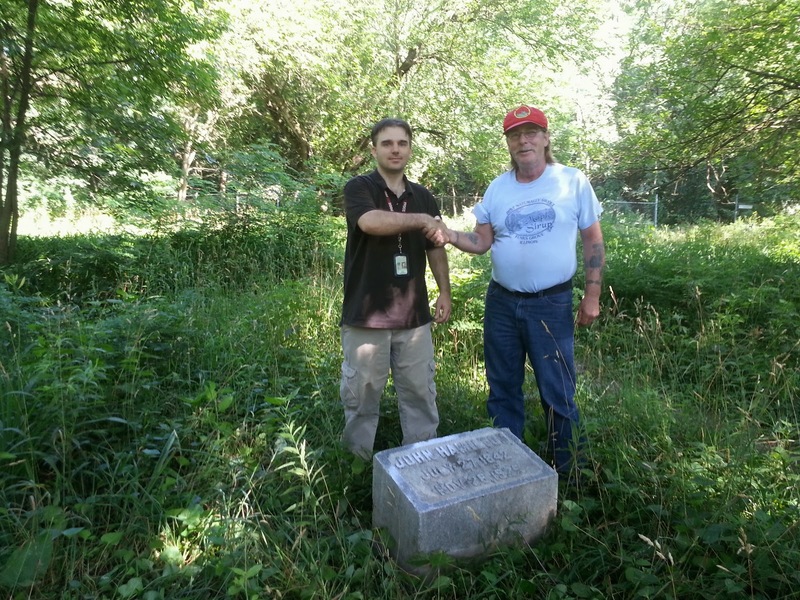 Credit to Steve Chalupnik of Joliet, Illinois for helping to recover the headstone. Steve Chalupnik has a 200-pound mystery sitting next to a fence in the back yard of his Joliet home. It has left him a little puzzled. He wonders if there might be something more below that old granite tombstone engraved in the name of John Hamilton, who died on Nov. 28, 1925. Could that spot of ground in his back yard be an old grave? "Is there something more in that ground," Chalupnik asked. "My dog has been digging around it. I don't know what might be down there." He bought the home on Madeline Street about five years ago. But that part of the yard was covered with a large bush and became a dog pen. He recently cleaned out the bush and found the gravestone. The granite is about 2 feet long and a foot thick. It's heavy. The engraving is still easy to read. John Hamilton was born on July 27, 1842. He could possibly have been a son of one of the original pioneers here. With that date of birth, he would have been 19 years old when the Civil war started, which means more than likely he was a veteran of that great American conflict. 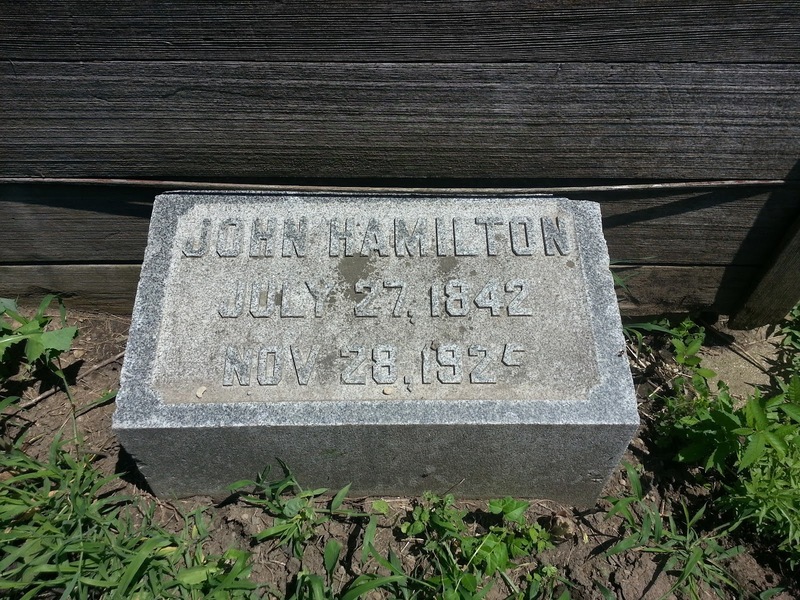 Chalupnik has called several area cemeteries who have no records about this John Hamilton. He has also done name searches with his computer. He said he has exhausted his options without any results. The county clerk's records show no death certificates filed with those dates. There are no other identification marks on that old piece of granite for Hamilton, who was 83 when he died. That's a common name for families in Joliet. I counted some 80 Hamiltons listed in the Joliet phone book. If one of them knows anything about this old grave marker, give me a call. Chalupnik would like to return it to its rightful spot. Or is that marker at its rightful spot in his back yard? "It certainly sparks my curiosity," he said. How the headstone was found. Headstone recovered by the Grove Restoration Project during 2013 and placed back in Lot 16. Photograph of Pete Crapia and John Foster of the Grove Restoration Project.